5K, 10K, 15K and 1 mile fun run through beautiful Temple Terrace. 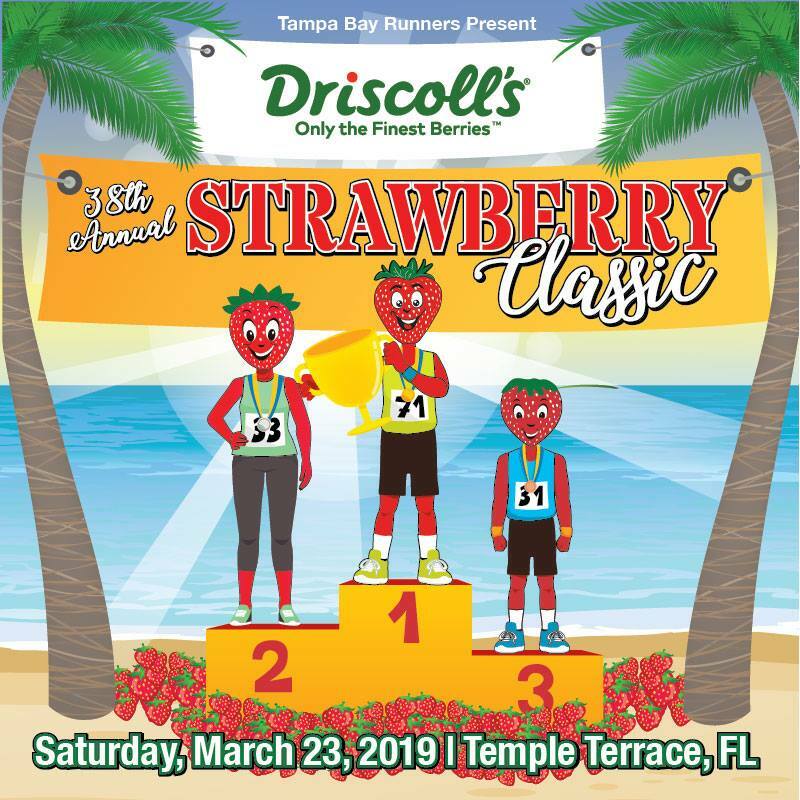 The Strawberry Classic Race has been recognized as one of the top races by Florida Running and Triathlon Magazine which named the 2015 15k race as the #4 most scenic and #4 best organized in the State of Florida! Following the race, enjoy music, food, massage, awards and delicious locally grown strawberries. Charity beneficiaries are Meals On Wheels of Tampa & Children's Dream Fund.